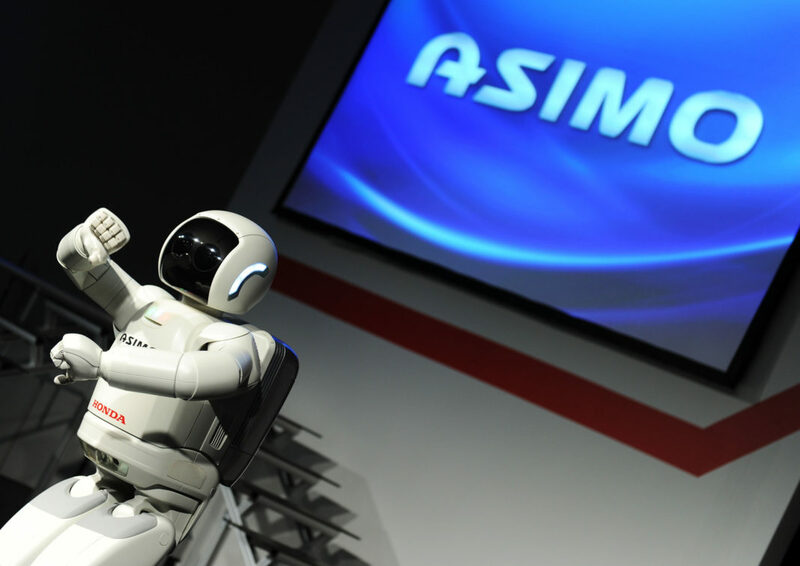 Honda is ceasing development of Asimo, the humanoid robot that has delighted audiences at trade shows for years but never really matured into anything more than that, the Nikkei reports. But while the venerable bot itself is bowing out, the technology that made it so impressive will live on in other products, robotic and otherwise. Asimo (named, of course, after science fiction pioneer Isaac Asimov) is older than you might guess: although it was revealed in 2000 as the first credibly bipedal walking robot, it had at that point been under development for more than a decade. The idea of a robot helper that could navigate a human-centric environment and interact with it in the same way we do was, of course, attractive. But the problem proved, and still proves, harder than anyone guessed. Even the latest humanoid robots fail spectacularly at the most ordinary tasks that humans do without thinking. Asimo, which operated on a sort of semi-pre-programmed manner, was far behind even these limited capabilities. That said, Asimo was an innovative, advanced, and ambitious platform: its gait was remarkably smooth, and it climbed ramps and stairs confidently on battery power. It could recognize people’s faces and avoid obstacles, and generally do all the things in a minute-long demo that made people excited for the robot future to come. Alas, that future seems as far off today as it did in 2000; outside of factories, few robots other than the occasional Roomba have made it past the demonstration stage. We’ll get there eventually. And the research that went into Asimo will help. It may not be the actual robot we have in our homes, but this kind of project tends to create all kinds of useful technology. The efficient actuators in its legs can be repurposed for exoskeletons and mobility aids, its sensor pathways and the software behind them can inform self-driving cars, and so on. I’ve asked Honda for confirmation and more details. Robotics is still a major focus at Honda, but this particular robot is going to take a well-deserved rest. Farewell, Asimo — you may not have done much, but you helped us see that there is much that could be done.